At the end of today’s general audience, Pope Francis noted that on Friday, he will meet with the leader of the Russian Orthodox Church, and asked for prayers. “The day after tomorrow I will begin my Apostolic Journey to Mexico, but first I will go to Havana to meet my dear brother Kirill. I entrust to the prayer of all the meeting with Patriarch Kirill as well as the trip to Mexico,” the Pope said. The Vatican announced the historic meeting last Friday. 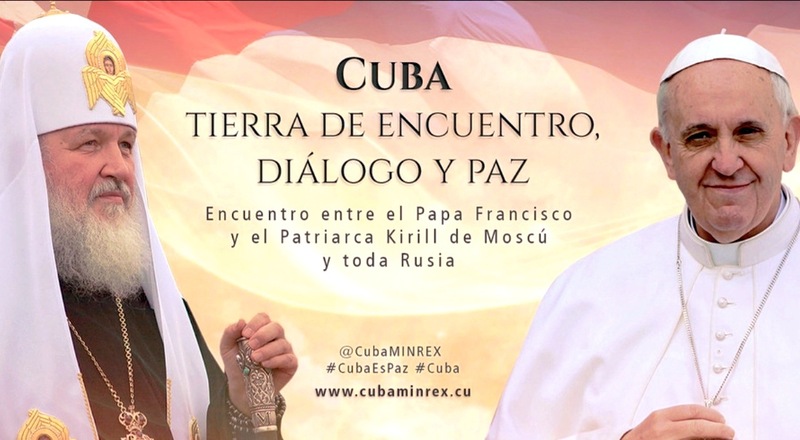 The Pope and Patriarch Kirill will meet in Cuba, as the Pope is on his way to Mexico and as the Patriarch is on a visit to Latin America. “The Holy See and the Moscow Patriarchate hope that [the meeting] will also be a sign of hope for all people of good will. They invite all Christians to pray fervently for God to bless this meeting, that it may bear good fruits,” Vatican spokesman Father Federico Lombardi said in announcing the meeting.